Last night, I had a last look at fx signals, particularly our AUD/USD signal. We bought this forex pair a day earlier, when the price had been close to the 20 SMA (grey) on the H4 chart. The drop down seemed to have completed, and it looked like the uptrend was likely to resume. Following this, the buyers began pushing higher, and we came to a point where we were just a few pips away from our take profit target (TP). The price, however, reversed and dipped below our entry point once again. The USD/CAD was pushing higher, which makes it equal to the AUD/USD moving lower, as the USD is the first currency in the pair. 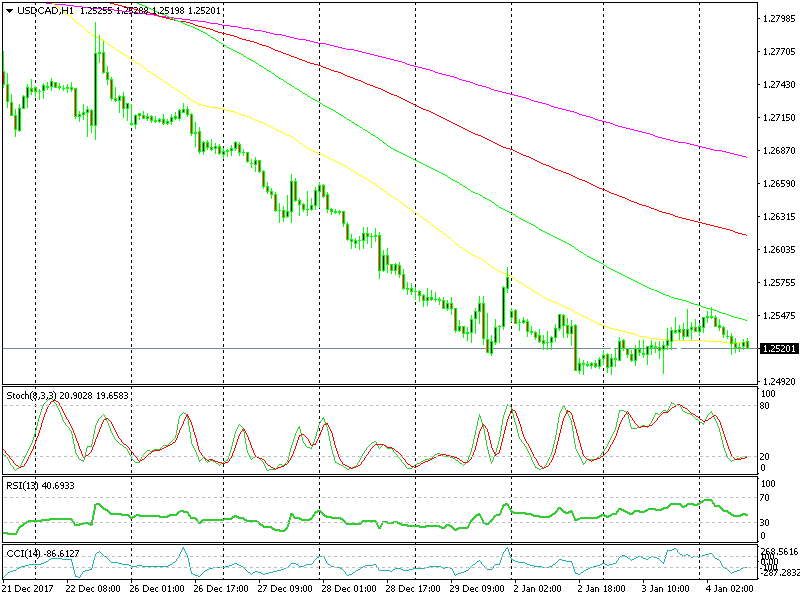 The USD/CAD was having a go at the 100 SMA (green) on the H1 chart. The trend had been strong and consistent for this pair, and the stochastic indicator was overbought as a result. 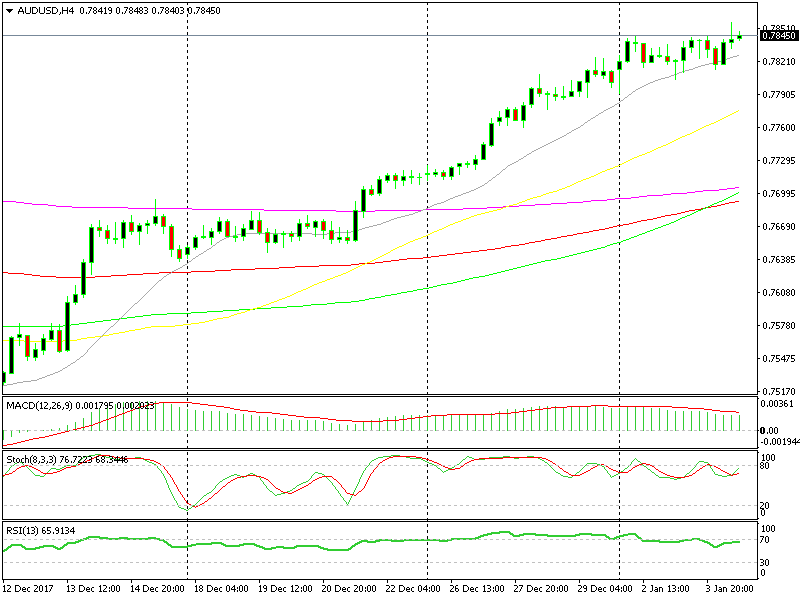 The 100 SMA was providing resistance on the top side, so the decision to open another signal against the USD was made. We sold the USD/CAD there, and left the trading station. The chart setup looked satisfactory, but the price action wasn’t exactly what we were hoping for. This morning, both of these signals closed in profit. Both of the pairs had reversed, and they had reached our take profit targets. I belive that the negative market sentiment towards the USD played a big role in this. The market doesn’t need much to turn against the Buck. The positive service report from China during the night was also a contributing factor. It reached 2 points higher than last month, which is a decent jump. The Australian economy is very dependent on exports to China, raw materials in particular. Although this isn’t the manufacturing report, any good news from China is good news for commodity currencies. The Aussie and the Loonie reversed right at that time, and the rest is history. As such, it looks like we received a helping hand from the Chinese and got our pips, which is of great importance to us.